Amit Agarawal is one of the most successful blogger in India. He writes about tech news, tips and tutorials. He is also the owner of one of the highest earning blog in india, labnol.org. I have been looking for some tutorials about WordPress self hosting blogging and i find tutorials from this guy really helping. 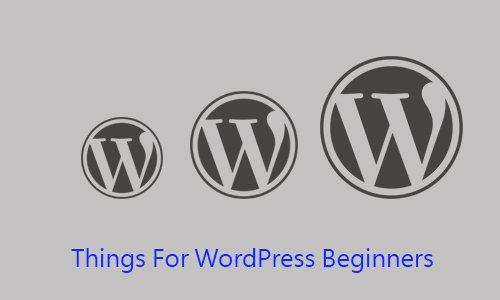 Here are some blog posts i would like to recommend to WordPress beginners. Amit has written a nice helping article on Optimizing WordPress installation. In this post he has talked about changing the default media upload folder, removing unnecessary meat-tags, preventing browsing of WordPress folder structure, Disabling HTML in comments, disabling feed on comments, hiding errors on login screen and many other. Applying even some of these tricks will certainly optimize your WordPress installation. If you have a blog on Google’s free blogging platform Blogger and now you are planning to migrate to WordPress self hosted version, which is a really nice idea, Amit’s article on migrating blog from Blogger to WordPress have enough information about it that you’ll find very helpful. Instead of just copying blog contents from blogger to WordPress he has also talked about how preventing loss of traffic caused by change of URLs. WordPress has lot of free plugins which make you life and blogging easier. An article on the essential plugins has covered up most useful plugins in WordPress world. These discusses plugins covers search engine optimization (SEO), improving posting experience, reducing errors, improving website performance , search and many more. Most important thing for a blog, security. You should never avoid things related to security of your blog. WordPress security tips on Digital inspiration shows some necessary steps to increase the security of blog. This post shows how to do this with help of plugins and tweaking codes of WordPress php files. Follow these basic steps above and make your blogging easier and fun.